Laughter they say is the best antidote to stress, pain, and conflict but it takes the likes of Romesh Ranganathan who has a very high sense of humor and has built such great reputation in the field to administer this pill. Since he left his job as a mathematics teacher, this British citizen has gone a long way in making a name for himself in the entertainment industry. He is not just known as the “Hardest Working Comedian”, he is praised as one comedian who knows how to dominate a room. 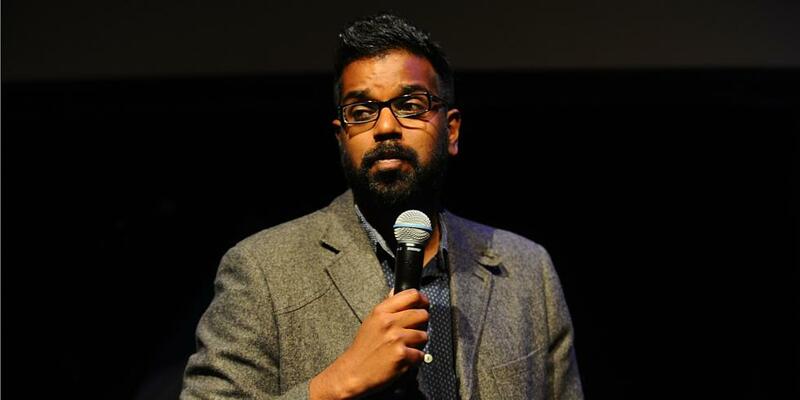 Jonathan Romesh Ranganathan is a British stand-up comedian best known for his appearances on such TV comics as Mock the Week, Funny Valentines, Stand Up for the Week, Play to the Whistle and House of Fools. Ranganathan was born on January 30, 1978, in Crawley, West Sussex, England. A Sri-Lankan by descent, he was born to Sri Lankan-British family. Ranganathan started appearing on TV shows in 2014, but before then, he taught mathematics at Hazelwick School and at The Beacon School located in Banstead. He made his first appearance in a British television show named The Great British Bake Off: An Extra Slice, where he presented his homemade vegan chocolate brownies. From there he became more regular on TV shows like BC1’s Live At The Apollo and 8 Out of 10 Cats Does Countdown, a Panel game show that emphasized on humor. Other comedy shows he appeared in include Russell Howard’s Good News, Would I Lie to You?, I Got News for You, Sweat the Small Stuff, Virtually Famous, Soccer AM, and lots more. Rom-Com and Rome Wasn’t Built In A Day his two shows at Edinburgh Festival made him more popular as they were nominated for the prestigious Edinburgh Fosters Best Show Award in August 2014 and Best Newcomer Award 2013. In 2015, this comic icon joined the league of top celebrities like Sir George Robey, Harry Lauder, and Cecilia Loftus to perform at the UK annually televised variety show, The Royal Variety Performance, which was organized to raise funds for the Royal Variety Charity of which Queen Elizabeth II was life-patron. That same year, he appeared in the Asian Provocateur series for the BBC Three in which he traveled to Sri Lanka in the bid to explore his ancestral country. He also appeared in Josh, a sitcom produced by an English comedian and presenter, Josh Widdicombe. To further spread his tentacles, Ranganathan left the European shores to the United States of America to telecast the second series of the BBC three show. The following year, he launched his own series Just Another Immigrant on Showtime which is expected to appear on the UK screens in early 2019. The docuseries which premiered on June 8, 2018, received critical acclaim selling across the globe and further paved the way for his appearance on the American late-night talk show, James Corden’s Late Late Show. As at 2018, he is busy filming his a new series on BBC2 The Misadventures Of Romesh Ranganathan. He won the 2016 Ents24 Hardest Working Comedian Of The Year. The English comedian Romesh is married to Leesa Ranganathan a drama teacher who has been his sweetheart for long. The couple met when Romesh was working his way through the entertainment industry as a comedian. Leesa may not be as popular as her husband but she has been most useful to him not just as his wife but also as the best supporter in his journey to stardom in the world of entertainment. Romesh himself has openly admitted that he would have been a “rubbish teacher” without her support. Despite the pressure placed on them by work and all the paparazzi, the couple still lives together happily, giving no room for any form of marriage scandal. Romesh and Leesa have three children- Alex, Charlie, and Theo.